I know I’m not alone when I say I’m sick of unwanted hair, and all the fuss that goes with it! Waxing, shaving, UGH! Its either painful or a lot of work and lets not forget – EXPENSIVE! Now that its summer time, how often have you been invited to go to the beach last minute and realize you forgot to shave your bikini line! Embarrassing! Well thankfully, there are other options for removing that hair – for good! 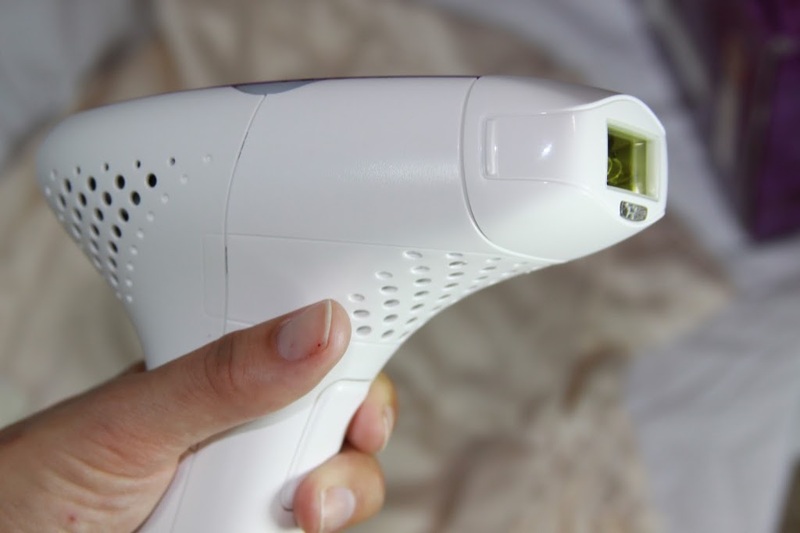 Sure there is the option to go the the dermatologists office and pay thousands of dollars to get rid of that hair, but did you know that there are at-home laser treatments that are safe and just as effective! Oh yeah, and a fraction of the price! 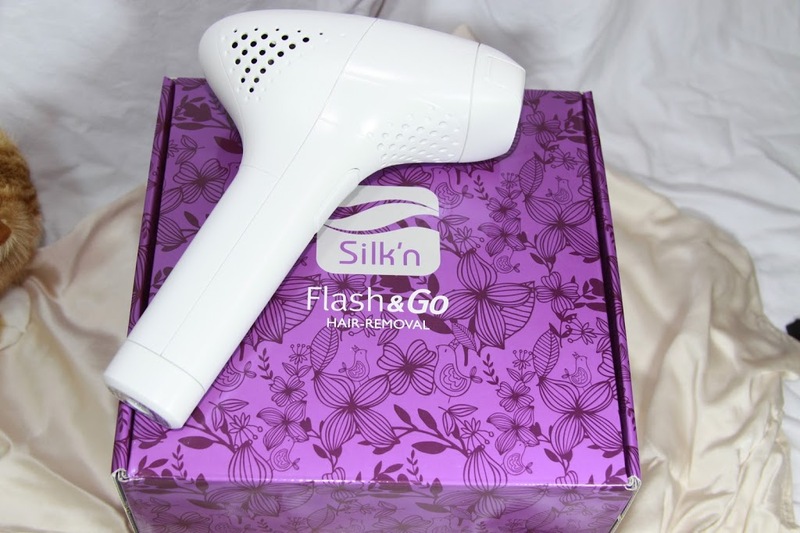 I recently put the Silkn’s Flash n Go to the test! 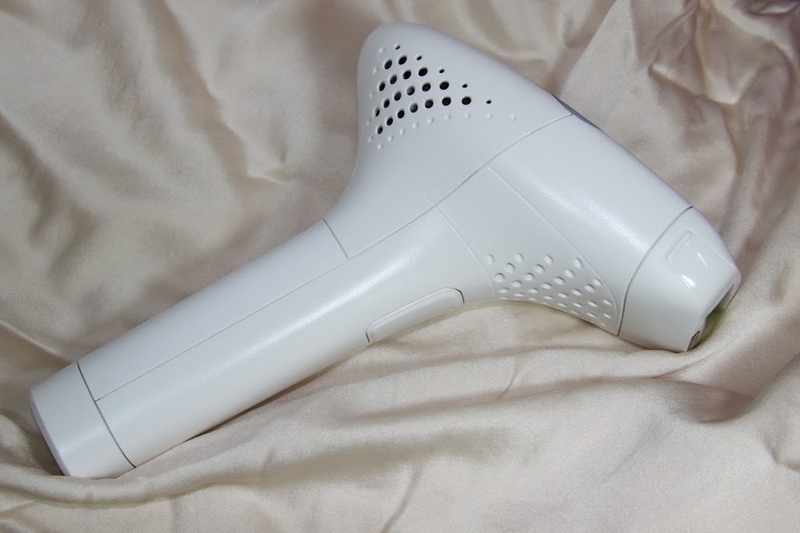 Unfortunately my hair on my legs are blonde so I was not able to try it out there (the hair needs pigment in order for the laser to attach to the hair follicle and stop the re-growth of hair), but I did use it on my underarms and bikini line. Here is what the Flash n Go laser looks like. You simply hold it in your hand, turn the power on, and it lights up once pressed against the skin, letting you know to push the button and zap that portion of the skin! You can adjust the levels on the Flash n Go too! Its wise to start out with level one on your first treatment to make sure your skin is not irritated. After that you can adjust the levels. There are 5 levels and the higher you go, the more powerful the laser treatment. Simply find the level that is most comfortable for you. Once you get through a few treatments you will find you can adjust the levels up. I started out with a 1 and by my fourth treatment, I was on a level 4 on my underarms and level 5 on my bikini line. Here you can see the power switch and where to adjust the levels ( + or – ). The sides light up green when its ready, and you click the button and the laser is released onto the skin! Here you can see the size of the laser. Its a nice big size so it covers lots of area much faster! I couldn’t wait to try it out. Let me give you a little history on my hair situation before jumping in! I’ve tried another at home laser hair treatment in the past and while it did diminish and slow down growth, I used it for a year and a half and it still never got rid of my hair completely! I was excited to try the Flash n Go to see if it could out perform this previous (much more expensive) model. Here is a shot of my underarm before I started my Flash n Go Treatment. As you can see, still quite a bit of hair that I’m anxious to get rid of! The Flash n Go is used for for 4 treatments each- 2 weeks apart. After that, you use it on a monthly basis until your 8th treatment. At this point hair should pretty much be gone and you just use it as you need it. I also love that the Flash n Go plugs into the wall while in use, so you can continue to use it until you’re done. No recharging the battery! This was really great because the other guy’s laser had to charge and would only last about 20 minutes before dying then would take 2.5 hours to charge! If you’re covering big surface areas like your legs, it would take you all day! After using my Flash n Go twice, I started noticing a huge difference! By the third treatment, my underarm and bikini line hair was almost completely gone! After only four treatments, yes FOUR, Voila! Here is my AFTER Picture of my underarm (and this picture was taken 4 days after my last shave to show you that no hair is growing back) My Flash n Go has completely eliminated my underarm hair! Not one single hair can be found! The biggest difference was my bikini line. I had quite a bit of hair when I began and now it’s nearly completely gone. I have like about 5 or 6 strays that have come in since my last shave and that is it. Pretty incredible right?! I wish I could show you the before and after pictures, but no way I’m posting that on the internet, and I’m sure you don’t want to see that anyway! I am incredibly impressed with the results of my Flash n Go! It only took a few treatments, a total of about 40 mins all together, for all four treatments, and my hair is gone! No more shaving or waxing for me! I am ready at a moments notice to head out to the beach and no more embarrassing unshaved skin for me! After trying two different at home laser methods, the winner is clear! My Flash n Go works faster, doesn’t need to recharge, and gets the job done better and more effectively! Period. Oh and get this, it comes with an extra laser lamp cartridge, so you will have plenty of laser to remove all unwanted hair on your body! (My other laser didn’t!) I also experienced no pain or discomfort while using my Flash n Go! My skin only got a little pink once, after using a level 5. I am so happy with my results and highly recommend this to anyone with unwanted hair, which is pretty much everybody, right? You don’t need to suffer from painful waxing any more, and you don’t have to waste all that time shaving everyday! 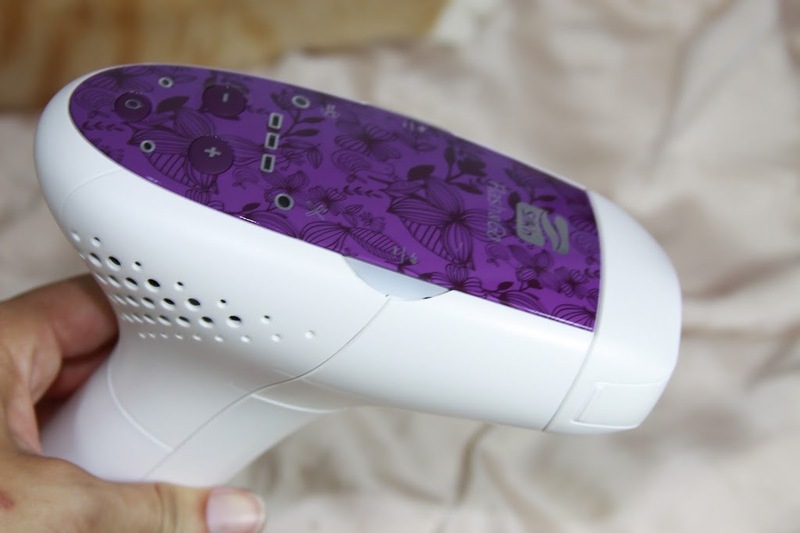 The Flash n Go is quite a bit cheaper than most at home laser treatments (by almost 40%!) and it will save you both Time AND money in the long run! Hair removal is expensive no matter how you choose do it, and when you look at the years of shaving and waxing, it all adds up! You could do laser hair removal at the doctors office, but it would cost you several thousands of dollars! I love using my Flash n Go in the privacy of my own home and I get PERMANENT results! The Flash n Go is totally safe to use, clinically proven to work, is dermatologist recommended, and Award Winning! AND I’m putting my seal of approval on it! 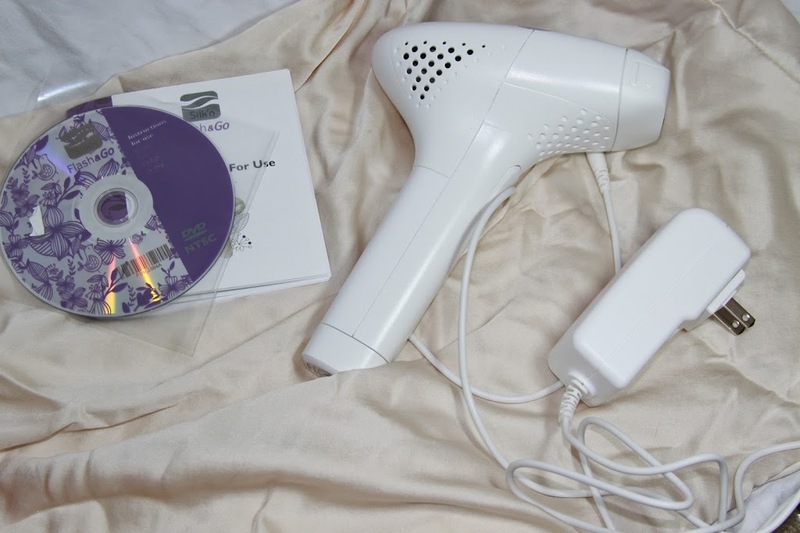 If you would like to learn more about the Flash n Go Laser Hair Removal system, check it out at ShopSilkn.com. You can also purchase it HERE on Amazon! Since using my Silk’n Flash n Go over a year ago, I barely have hair coming in. I only have to re-treat every few months and when I do, its usually only a few stray hairs around the bikini line. I almost never get hair on my underarms now. I have probably treated them for 1 or 2 stray hairs only 3 or 4 times over the last year! *This is a sponsored post. However, all thoughts and opinions expressed in this post are solely my own. I only share reviews with my readers. I feel will be beneficial and informative in some way. This reminds me of “No-no”, I really need to check your device out because I like the shape and versatility better than the latter. really 100% permanent remove hair?? ?